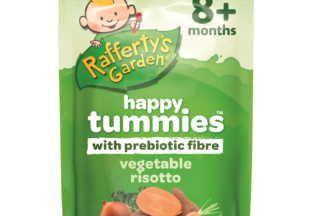 Rafferty’s Garden Happy Tummies Vegetable Risotto with best before dates of 10 August 2018 and 12 August 2018 have been recalled after Rafferty’s Garden was advised that the rice used in the two batches of the product may contain glass. No other Rafferty’s Garden products are affected by the recall. Rafferty’s Garden is sold in most major retailers across Australia including supermarkets. It is also sold in pharmacies. Rafferty’s Garden said they take food safety very seriously. “We have been advised that there was an issue at the Arborio rice manufacturers where glass has entered the production process and was not detected,” Rafferty’s Garden said in its recall announcement. Consumers are been advised not to eat the product or feed it to children. The product can be returned to its place of purchase for a full cash refund. Rafferty’s Garden is owned by PZ Cussons who acquired the brand in 2013 for AUD $70 million. The makers of H2coco are preparing to launch a new beverage never before sold in Australia.